Until fairly recently, the self-effacing and unpretentious letter “z” had managed to keep a low profile by hiding in the shadow of the gangly “y'” there at the end of the alphabet. But once Hyatt jumped with both feet into the deep end of the all-inclusive pool with their Zilara and Ziva brands, those days of obscurity for the ultimate letter were forever lost. Now “Z” is all grown up and strutting its stuff like a voluptuous Miss Venezuela in the swimsuit competition at the Miss Universe pageant. Take the names of their restaurants, for example. Petit Pariz is bringing, as they like to say, “Parisian flair to the shores of Jamaica.” Flavorz is located in the main lobby offering breakfast, lunch and dinner. Horizons, whose name they didn’t even have to massage, features international cuisine in a “farm to table” concept. The lobby bar is called is called Potionz and the pool swim-up bar is styled Islandz. Time fails me to talk about Choicez, Di Roza, Fuzion, Calypzo, Grindz and Fez. Unless you have dozed off and are cranking out a few zzzzs by now, I think you get the idea. 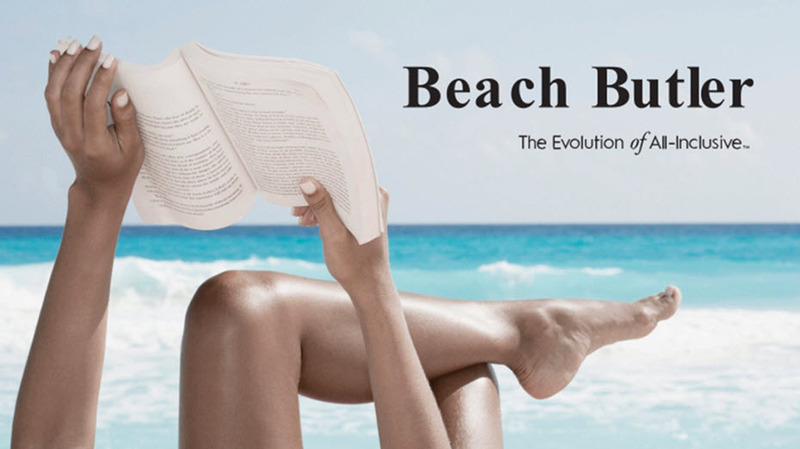 If you are eager to know more about how Hyatt is upgrading the all-inclusive experience from A to Z, you have only to read my typically brilliant post Hyatt All-Inclusive Resorts: Evolution or Revolution? Should you then be swept away by my lilting prose, you can read about the Hyatt Ziva in Los Cabos. 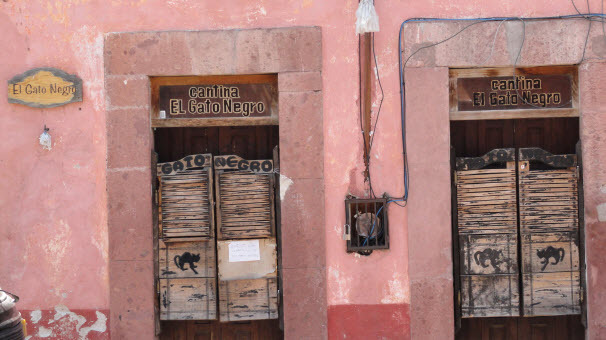 Speaking of swept away, that already stunning property is undergoing a complete transformation thanks to the visit of a most unwelcome guest last September called Hurricane Odile. We shall, however, focus our remaining time together on the Hyatt Zilara / Ziva Rose Hall in Montego Bay, Jamaica where I was privileged to stay recently. For those who may not know, the Zilara is the adult only brand and Ziva is the family brand. In this case, the two brands are adjacent sharing a central lobby. As the slightly more deluxe brand, all the facilities and dining options of both are available to Zalara guests but not vice versa. I, along with 200 or so of my closest friends, was the recipient of the largess of Funjet Vacations and the Hyatt for this experience. Those cynical souls who are immediately suspicious of my objectivity need to read my Fool Disclosure page where I lay bare my soul on that subject. For those who prefer the executive summary: I don’t claim any . . . objectivity, that is. As to the resort, here are my observations about both the resort and the destination. The folks at Hyatt have proved that exemplary service is all about setting the right expectations, hiring the right people and providing the right training. The warmth and friendliness of the staff and their eagerness to serve is everything you could hope for at a deluxe resort. The sobriquet “beach lover” does not really apply to me. Call me crazy but I have an aversion to tiny grains of sand finding their way into every crevice of my body. However, I am well aware that for many, perhaps most, of you, a quality beach is the most important consideration when selecting a warm weather resort. If you fall into this category, I can happily report this property has as nice a beach as you will find nearly anywhere. There are plenty of palapas and lounge chairs and a nice breaker so even the urchins can enjoy the water. The most popular beach feature is Barefoot Jerkz where you can get chicken, beef and fish Jamaican style. Finally, someone has come up with a restaurant named with me in mind! If you like to mix in a little history, culture and voodoo witchcraft into your vacation (and who doesn’t), the Great House at Rose Hall, just across the road from the resort, is just what the witch doctor ordered. I don’t have time to recount the story of the “white witch” and the three husbands she killed in three separate upstairs bedrooms (plus a handful of lovers but who’s counting) but you will get all that when you do the tour as I did. Let’s just say that Annee Palmer was a little, as in 4’11”, ball of pure, unadulterated evil. Even better than the tour of the Great House, for my taste at least, is the White Witch Golf Course. While the beach worshipers were back at the resort attempting to inconspicuously deal with their own sand wedgies, I was using my sand wedge to extricate myself from one of the numerous bunkers that dot this magnificent course. There is oh so much more to say about the Hyatt Zilara and Ziva Rose Hall but, alas, no time left to share it. If you are looking to experience some of the best of Jamaica without the trek to either Ocho Rios or Negril, let us book you into this magnificent resort where the service will impress, the beach will entice and the culture will inspire. One closing word of caution for the male reader. It is said that Annee is actively looking for her next husband so if you do tour the Great House by candlelight, you might want to keep up with the rest of your group. Just sayin’. 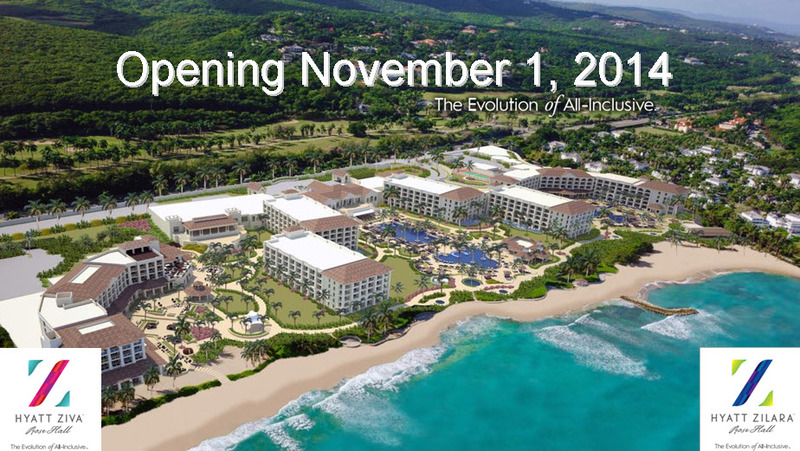 Hyatt All-Inclusive Resorts: Evolution or Revolution? Are you familiar with Playa Hotels And Resorts? Probably not so much. Have you ever heard of Hyatt Hotels? With the possible exception of a few frost-bitten souls living on Deception Island, Antarctica, most would say, “Yes, indeed.” “And what does one have to do with the other?”, I hear you asking. I hope you were asking because if you were just clearing your throat, this is going to be a very short blog post! *Playa Hotels And Resorts harbors the lofty goal of becoming “the leading international resort and leisure company in the all-inclusive resort segment .” If that were my personal goal (instead of trying to avoid homelessness and/or deportation), I would be looking around for some strong coattails to ride. You might say Playa hit the lotto! Just a little less than one year ago, a subsidiary of Hyatt Hotels Corporation announced a considerable investment (considerable as in $325 million dollars) with the goal of acquiring and developing new all-inclusive resorts under the iconic Hyatt brand. You can read all about it here. I was recently privileged to hear Kevin Froemming, Playa’s Executive Vice President and CMO, artfully present the concept that undergirds all their efforts. It is summed up in their tag line, “The Evolution of All-Inclusive”. After I unveil some of the pillars resting on this solid foundation, I will leave it to you to decide whether this is gradual evolution or more akin to radical revolution. The problem is, you don’t have the foggiest clue where to start. Here’s what you do. You tell her you are going down to the gym for a workout. Strike that. She will never buy that. Tell her you are going to a tequila swilling contest in the cigar lounge. That should do the trick. Now here’s the sneaky part. You are really going to the appointment you have set with the “romance concierge”. An hour later (two hours if you stop by the bar just to become convincingly tipsy) you will be swaggering back to your room, romance agenda tucked safely in the back pocket, hair flowing like Fabio on the cover of some trashy novel. 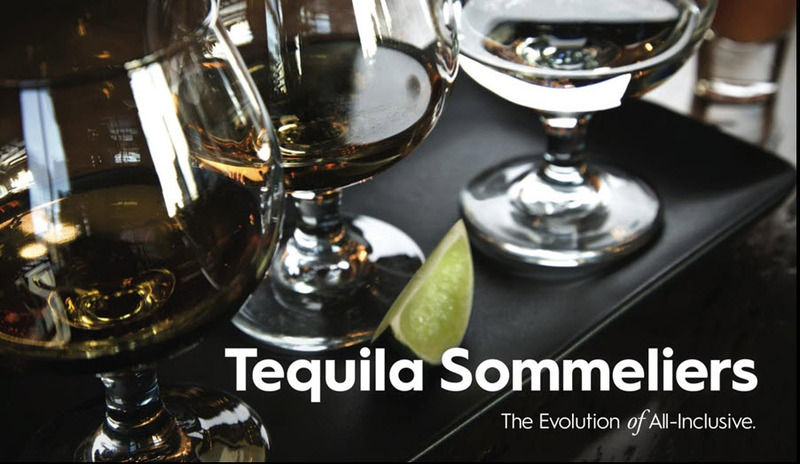 Speaking of Tequila, have you noticed that there are more varieties of tequila in Mexico than visible stars in Andromeda. Unless you want to share my humiliating experience of standing frozen in indecision before a wall of tequila for an embarrassing length of time, I suggest you avail yourself of this service. And should you find yourself in Jamaica (more about that momentarily), you will be offered the services of a rum sommelier. I once considered becoming a box wine sommelier but couldn’t find a hoity-toity French school for that. I don’t know how many personal butlers you have at your beck and call but speaking for myself, it is a very low and and very round number. And, even if I did, it would probably not be a beach butler seeing as I don’t own any beach property either. (Life can be so very cruel, don’t you agree?) All the more reason to be excited by the prospect of having your whims catered to by, not just a Beach Butler, but a Pool Butler, a Luggage Butler, a Family Butler and a Suite Butler. I know what you are thinking. You figure I am delusional after being generously over-served by my Tequila Sommelier. Nope, I am stone cold sober and for once (circle your calendar) dead right about something! Hyatt all-inclusives have more butlers than Mickey Rooney had wives! OK, I’m running out of time and there is more I want to share so I will let this little item pass with the observation that I am obviously a Neanderthal slug devoid of any trace of refinement. 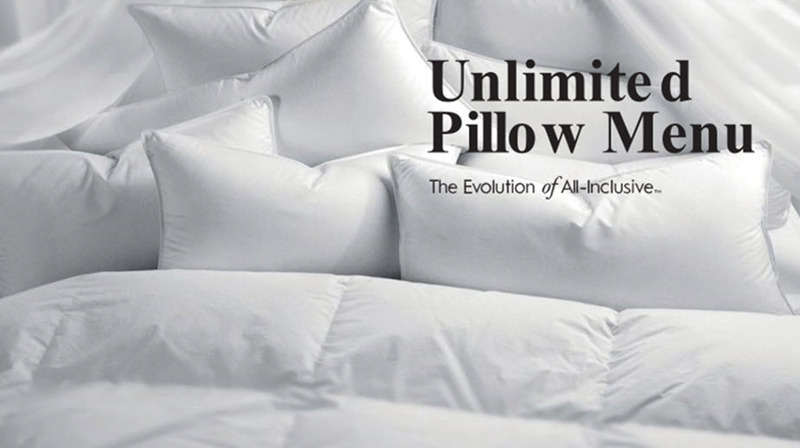 I wouldn’t have a clue how to order a pillow. When you get beyond white, soft and rectangular, I am pretty much clueless. I will leave this item to the more cultivated and genteel among you. The Hyatt all-inclusives, for now at least, will fall into one of these two categories. The first Zilara, the Hyatt Zilara Cancun is to be found, not exactly shockingly, in Cancun and is the former THE ROYAL, Cancun. 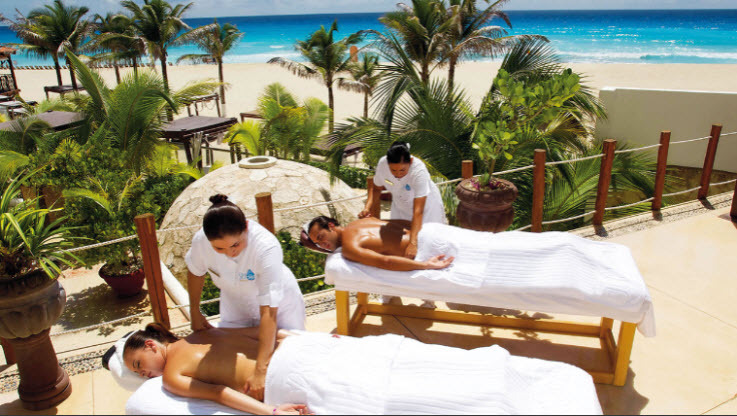 It made my top five list in my post Crème de Cancun: The Top Five Resorts. The first Ziva is the Hyatt Ziva Los Cabos. I will let you decipher where it is located. Here is the distinction between the two: The Hyatt Zilara resorts will be adults only and Hyatt Ziva resorts will be family properties. ALERT: My next post will share details of my recent stay at the Hyatt Ziva Los Cabos! * Not to wander too far off into the weeds but Playa Hotels And Resorts, in addition to the Hyatt branded and Playa managed hotels we have been talking about, also has its own Playa branded and managed hotels and other branded and managed hotels as well. That will have to keep for another time but if you simply can’t wait, you can read about their entire portfolio here. By writing posts about the sort of trip I am about to describe, I am not unaware that I run the risk of reinforcing the reader’s most inflated notions of the opulent not to mention indolent lifestyle led by humble travel entrepreneurs like myself. This is owing to the fact that in the travel industry some of our key suppliers express their appreciation for our efforts with reward trips to appealing destinations. This reality is made abundantly clear on my Fool Disclosure page. In our industry, you had better be prepared to endure frequent comments along the lines of “Wow, it must really be rough being you.” and other equally witty remarks. They are usually offered in a jocular vein with a nonetheless discernible tinge of jealousy. I will be the first to admit that we in the travel business often travel like kings but our ugly, dark little secret is we are too often compensated more like kitchen help. When quizzed about the travel business, my usual retort is “If you want to travel as if you had a lot of money, it’s great. If you want to actually earn a lot of money, not so much.” But enough self-indulgent whining. Truth is, if the trade-off were not acceptable, none of us would not be doing this for a living. And hey, when I am working as a greeter at Wal-Mart at age ninety-four, I will have incredible memories! A few weeks back I was invited by Funjet Vacations to participate in a five day, four night stay at the Sandals Grand Riviera Beach and Villa Golf Resort in Ocho Rios, Jamaica. One nice thing about going to a sun and fun resort, it makes packing relatively simple. On the whole, I was pleased with the selection of clothing items I brought along with one exception. Apparently, if you are going to go to Sandals, male or female, you must bring a pair of nice sandals. I am pretty sure that I was the only dweeb in the entire resort who did not get the memo. I consider myself a reasonably natty dresser but I am obviously way behind the trend in male sandals. Note to self: Before your next reward trip (coming up in December), scrape together a few shekels and invest in a pair of nice leather sandals. For you fashion aficionados out there, here is a note for you. If I am so far behind the trend that male sandals are actually now on the way out, please keep that bit of knowledge to yourself. Once I pony up for a pair, I will be wearing them until the leather looks like Keith Richards’ face under strobe lights. For those of you who tune in to this blog hoping to actually get a little travel insight now and again and not just my fascinating personal peccadilloes, here is my impression of the resort. Their website describes it as a “sprawling paradise” and that is pretty accurate. The resort consists of a series of villas spread over an entire verdant hillside but the “sprawling” part presents no obstacle thanks to the ubiquitous jitneys always flitting around. If you are a golfer, you can play as many rounds as you like without green fees at Sandals Golf and Country Club about half-an-hour away. (There are caddy and cart fees). Shuttles run regularly to the course. The property has had a recent $60 million dollar upgrade and is in beautiful condition. The Ochi Beach Club with its babbling brooks, fragrant gardens and a great stretch of beach offers the perfect way to spend your day. I can promise you that you will never be bored. Take a look at the activities page here for a truly amazing selection of options. If you want to really pamper yourself, book a private cabana where your whims will be catered to by your cabana concierge! Then further indulge yourself at the Red Lane Spa. 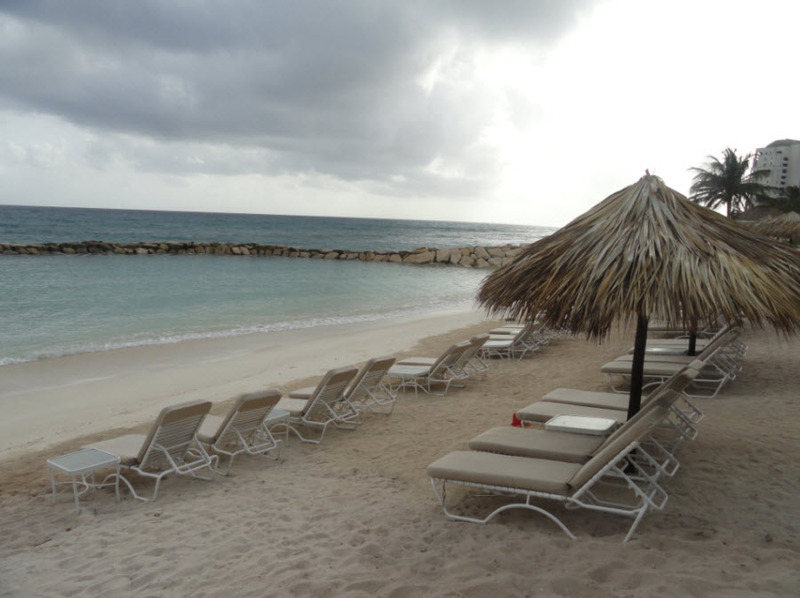 A final word: if you prefer smaller, quieter and more upscale, check out the Sandals Royal Plantation just down the road. I had a great private dinner there sitting at the same table frequented by Winston Churchill.